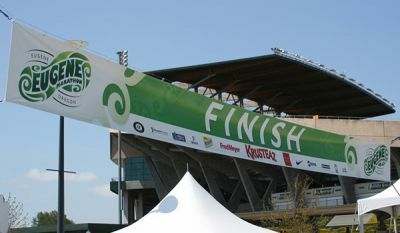 Choose from a variety of outdoor durable signs and banners for both short and long-term projects. Look here for sandwich boards, h-stakes, feather flags, window graphics, event banners, and dibond, aluminum or corex signs. Whether you need a full wall mural, a couple of hanging art prints or anything in-between we can help you enhance your interior retail or office space. 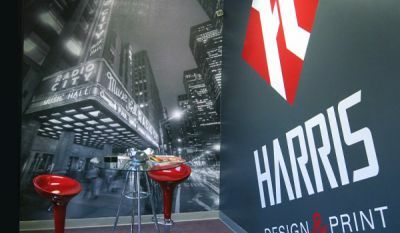 Dimensional logos, durable wayfinding, fabric prints, vinyl wall graphics are just some of what we offer. 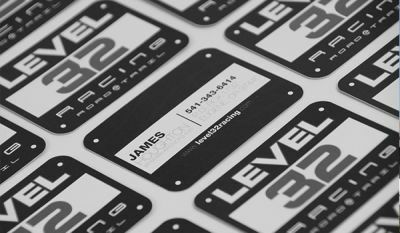 Stand out from the crowd with custom graphics tailored to your event. Look here for banner stands, fabric backdrops, table throws, tabletop displays, panel graphics, and canopy tents. Look here for paper printed products such as business cards, door hangers, punch cards, brochures, greeting cards, & postcards. We also make a variety of durable vinyl stickers that work great for tap handles, equipment, medals, and other outdoor applications.